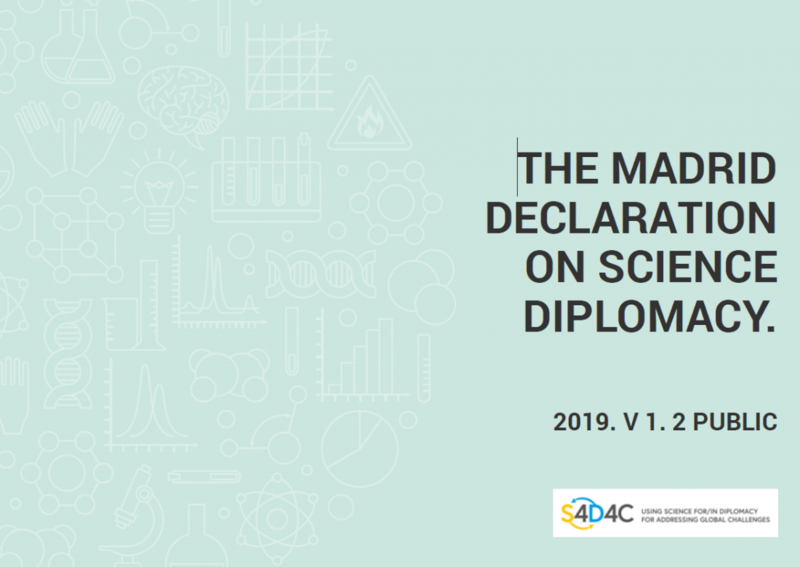 After S4D4C’s 1st Global Meeting on Science Diplomacy took place in Madrid in December last year, we are now proud to announce that our “Madrid Declaration on Science Diplomacy” has been published! It was signed by a group of high-level experts who contributed to the conference. It proclaims a common vision of science diplomacy in the future, emphasises the benefits science diplomacy can bring to tackling the global challenges of our time and outlines the principles needed to foster science diplomacy worldwide. Please find the full text of the declaration under the results of the 1st Global Meeting.